Do you get excited about World Cup soccer (or football in BE) matches? 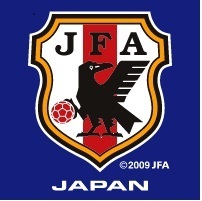 There is going to be a match with Paraguay at 11:00 p.m. in Japan time tonight. I am a little nervous now. Anyway, have you seen the mark of Japanese team? It is designed Yatagarasu. It is the legendary crow which has three legs. It is the messenger from Heaven, and it helped and guided Emperor Jimmu, the 1st emperor (711BC ~ 585BC, estimated). 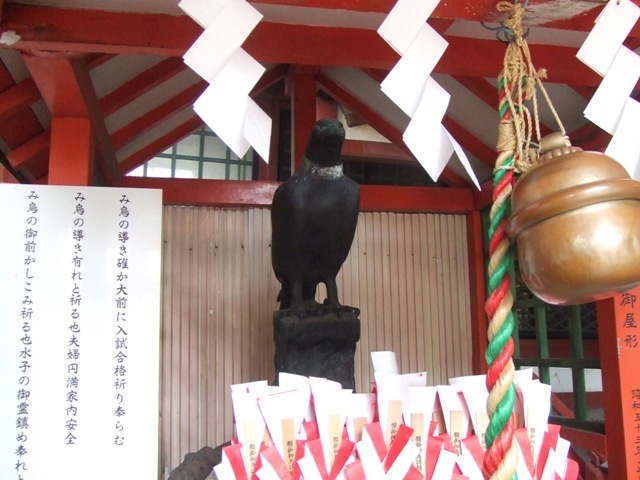 Yatagarasu is enshrined in Kumano Hongu Taisha in Wakayama Prefecture. In Osaka, Emperor Nintoku (313 AD ~ 399 AD) was told to enshrine Yatagarasu in Abeno in his dream according to the website of Abe Oji Shrine. 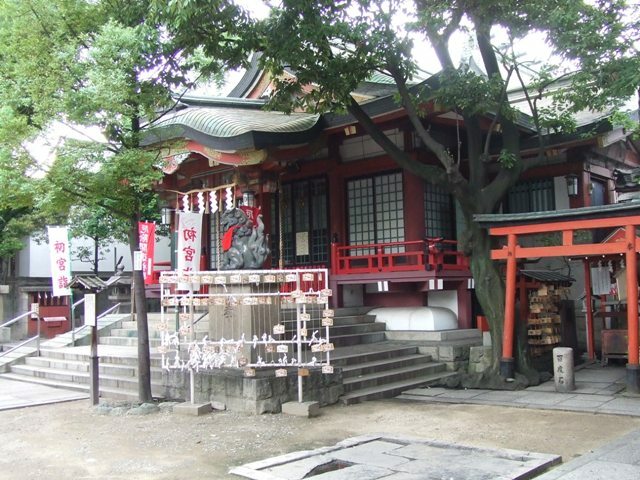 Since then, Yatagarasu has been enshrine here at Abe Oji Shrine in Osaka City. can you see a small shrine? 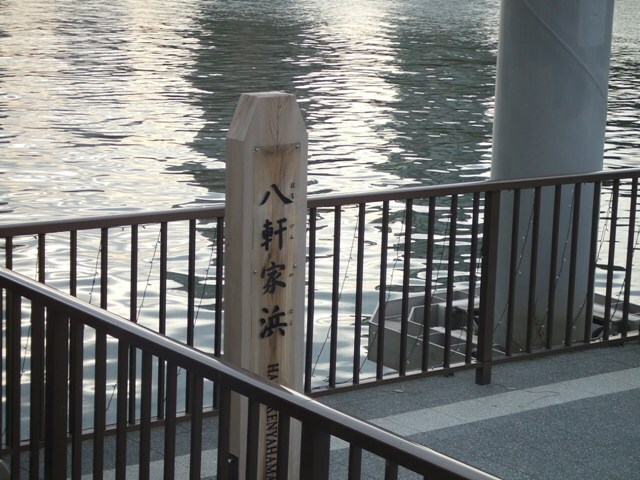 There is the statue of Yatagarasu and here, Yatagarasu is enshrined. Abe Oji Shirne is on Kumano Road. 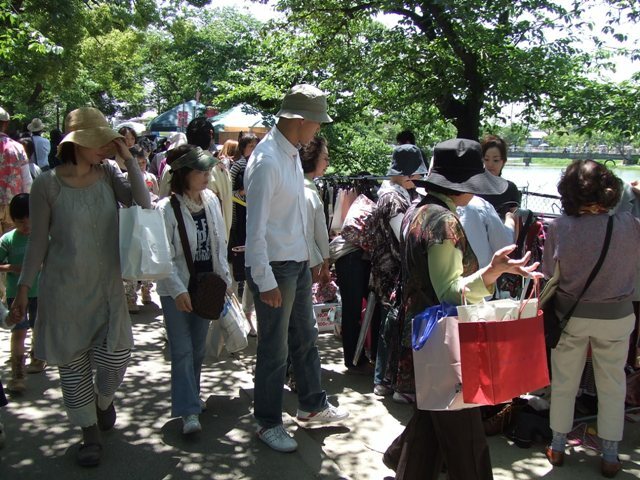 It is a few minute walk from Higashi Tengachaya Station of Hankai Uemachi Line. 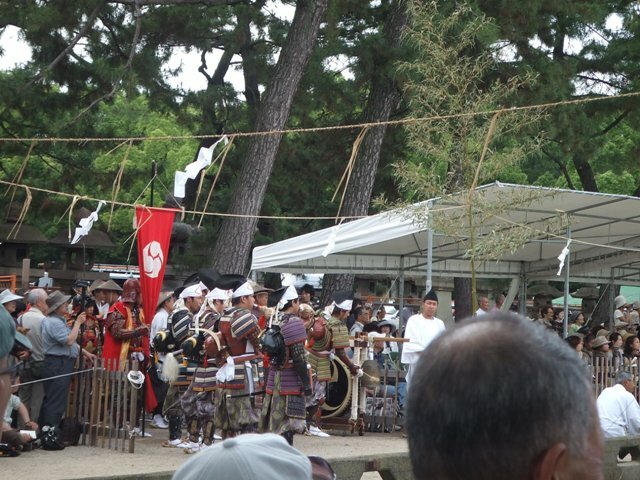 I am going to write more about Abe Oji Shrine next time. The Kumano Kodō (熊野古道?) 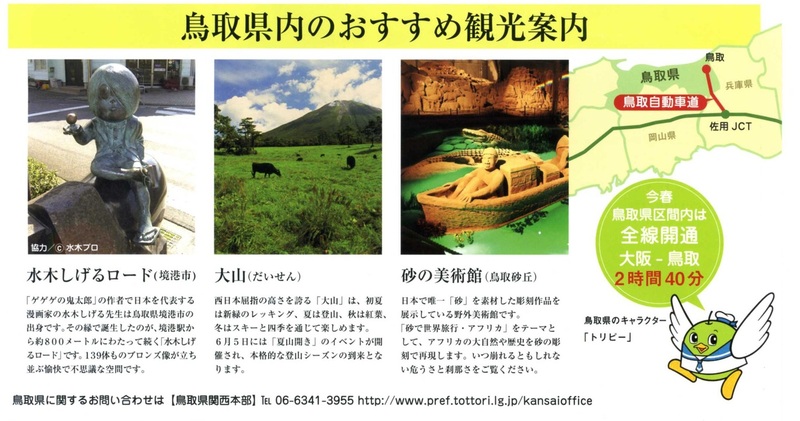 is a series of ancient pilgrimage routes that crisscross the Kii Hantō, the largest Peninsula of Japan. 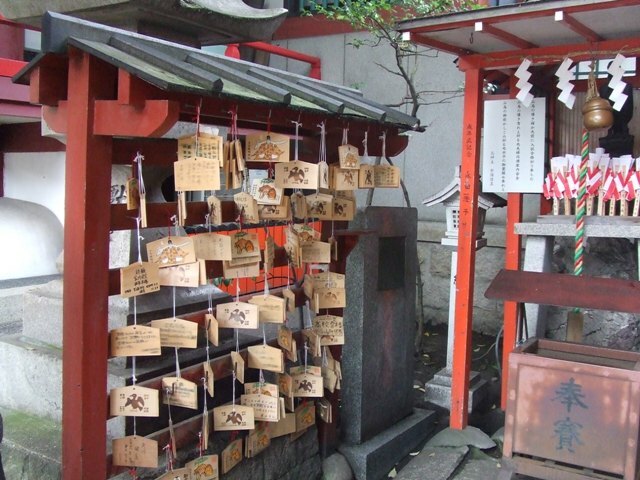 These sacred trails were and are still used for the pilgrimage to the sacred site "Kumano Sanzan" (熊野三山）, or the Three Grand Shrines of Kumano: Kumano Hongū Taisha (熊野本宮大社), Kumano Nachi Taisha (熊野那智大社) and Kumano Hayatama Taisha (熊野速玉大社). 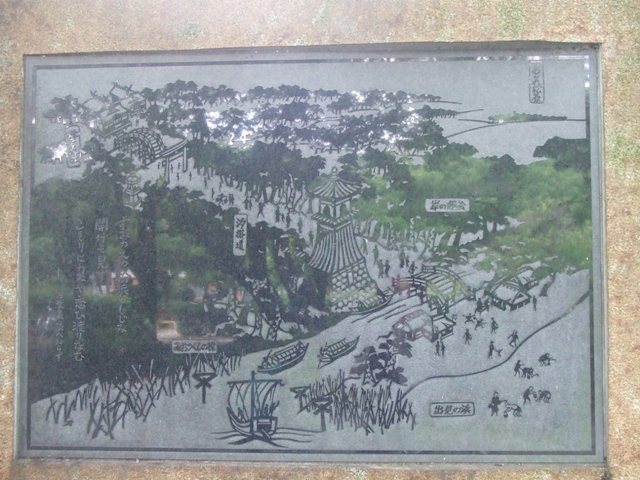 The Kumano Kodō pilgrimage routes that lead to Kumano can be geographically categorized into three sub-routes: "Kiji", "Kohechi" and "Iseji". 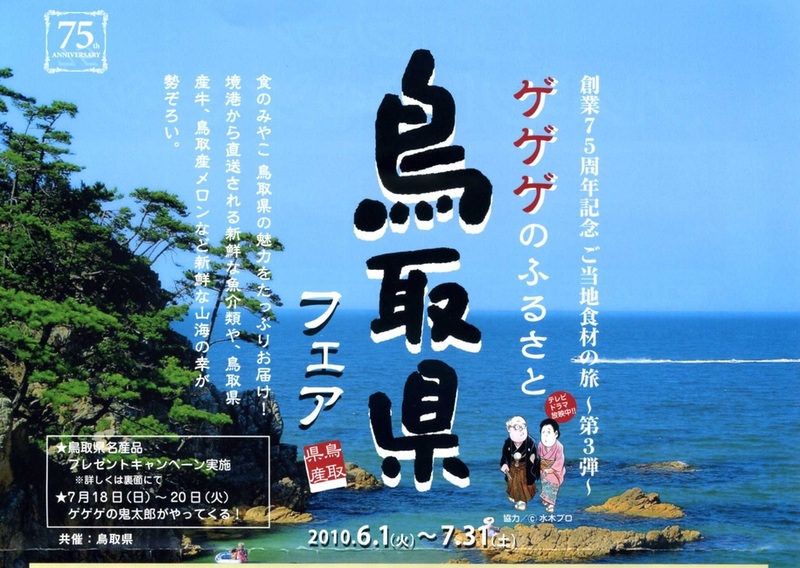 The Kumano Kodō and Kumano Sanzan, along with Koyasan and Yoshino and Omine, were registered as UNESCO World Heritage on July 7, 2004 as the "Sacred Sites and Pilgrimage Routes in the Kii Mountain Range". 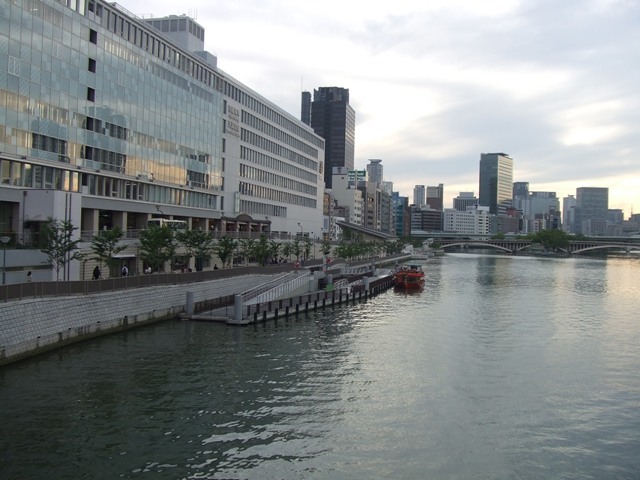 The Kumano Road originated here, Hachikenyahama Port of Okawa River in Osaka City. 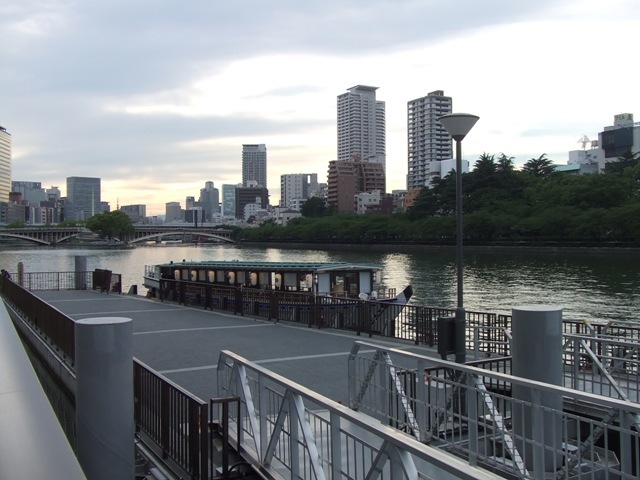 When there was no transportation like trains or buses, people reached here from Kyoto, taking boats along Yodo River. 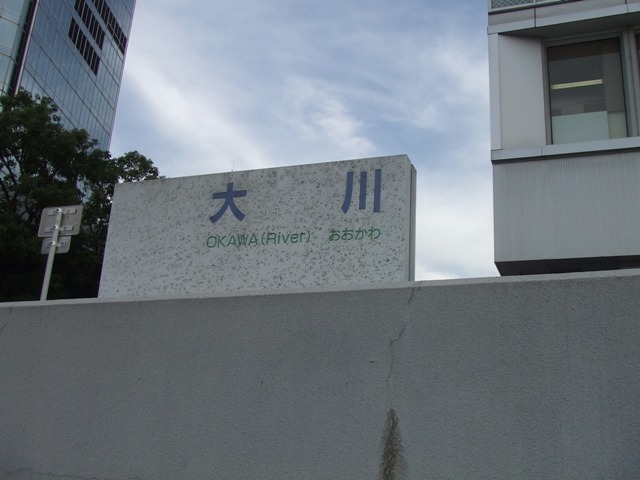 Okawa River is a branch stream of Yodo river. Starting at Hachikenyahama, Kumano road goes through Sumiyoshi-ku, my hometown, southern part of Osaka prefecture, and Wakayama Prefecture. 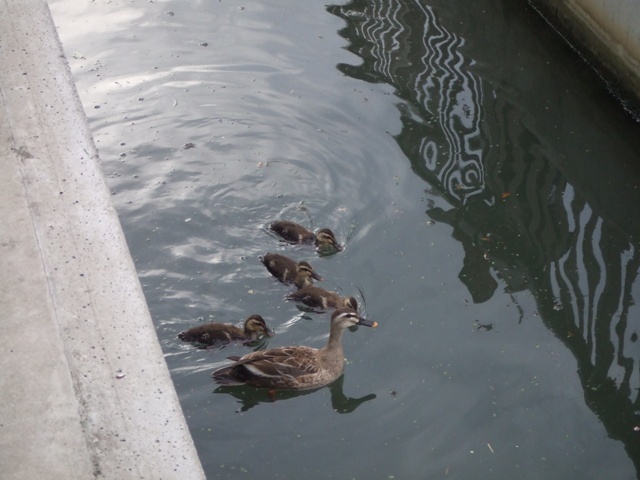 You may also see duck family. and from a fashionable café next to McDonald. 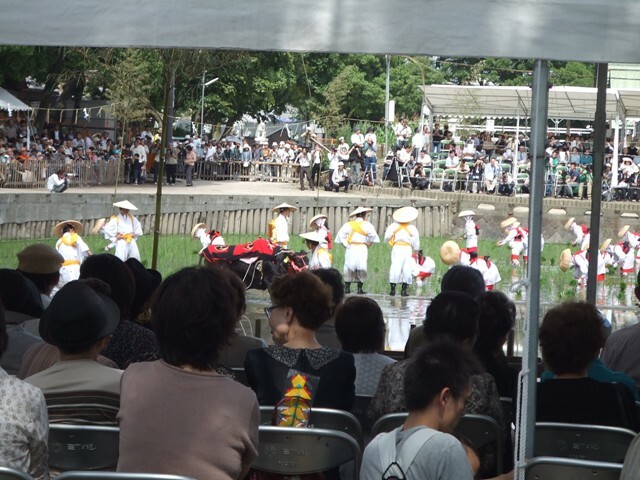 Get out of the main gate of Sumiyoshi Shrine, go across Hankai Line, and walk westward for a minute, and you will get to Sumiyoshi Taisha Station of elevated Nankai Main Line. 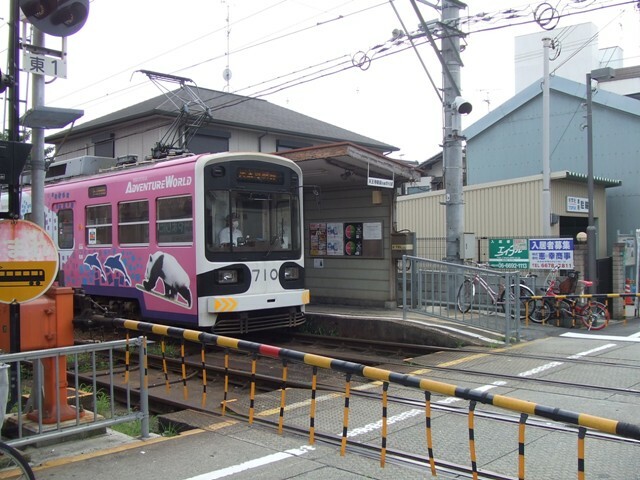 Go straight forward under the Nankai Line, and you will get to Sumiyoshi Park. 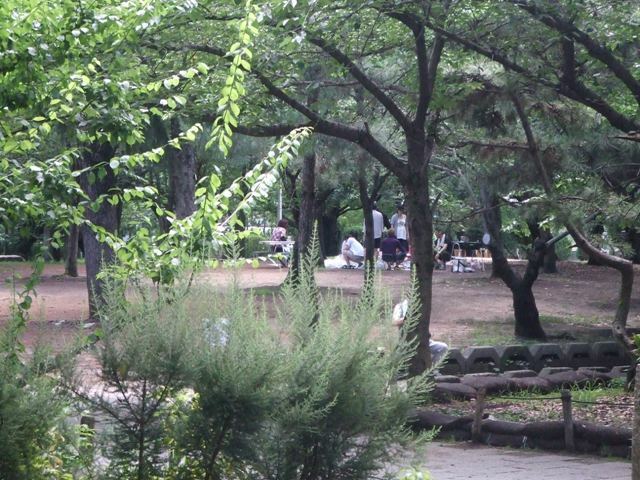 Sumiyoshi Park is one of the oldest parks in Osaka Prefecture, and you can stay here comfortably. Cherry blossoms are beautiful in spring, and all year around, you can enjoy beautiful flowers. 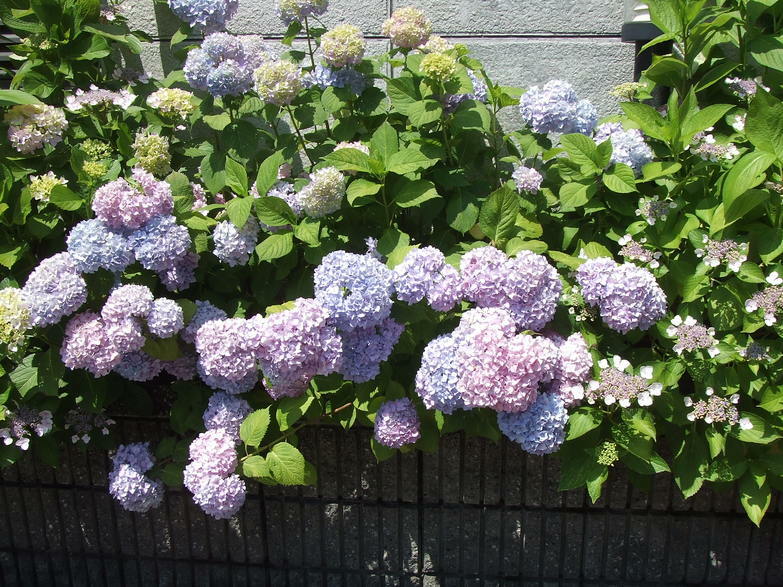 Right now, hydrangeas are very beautiful. You can even enjoy barbecue at the designated area. 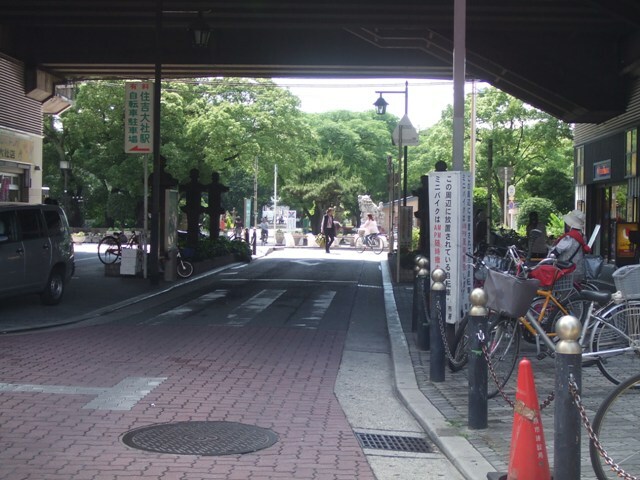 This is an approach to go worship to Sumiyoshi Shrine. 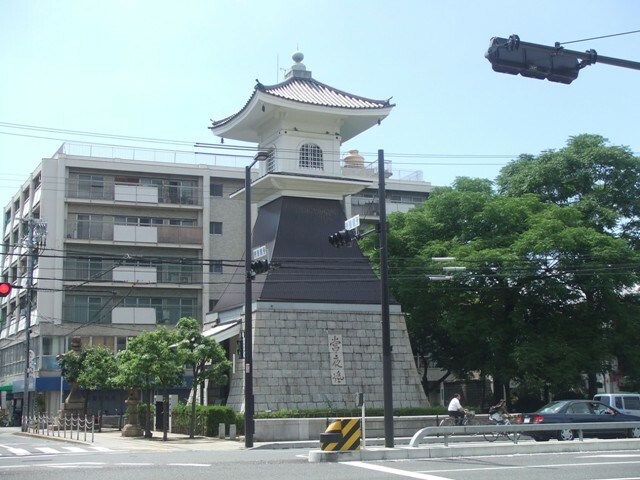 If you reach the west end of Sumiyoshi Park, you will see the old light house called “Takardoro” across from the park. 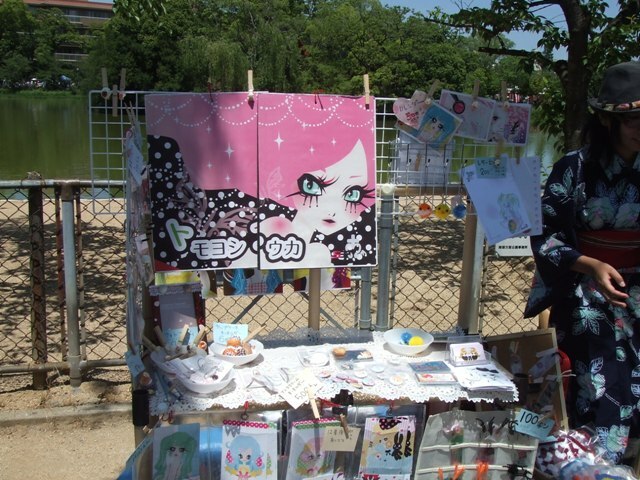 This is the replica, though. 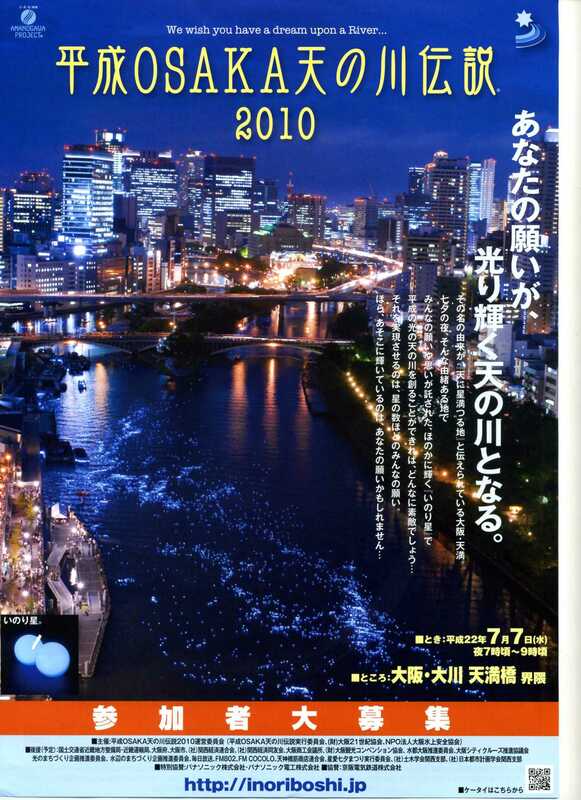 You can find the sea used to be close to Sumiyoshi Park long time ago according to this picture. The ritual started at 1:00 and ended at 4:00 p.m. I got there about 2:00 and left at around 3:20. 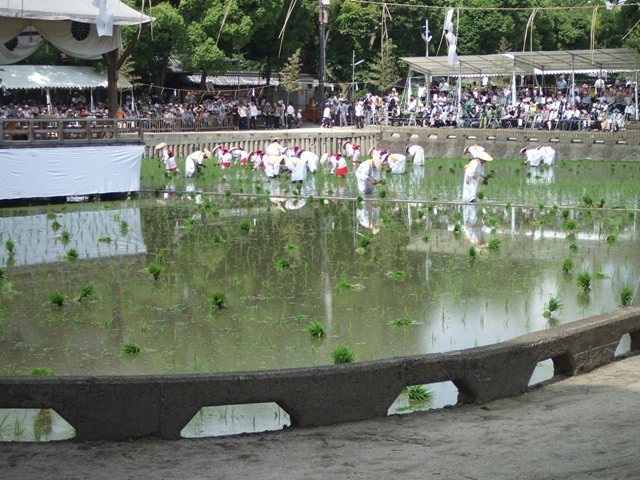 It is said Empress Jingu (170-269 AD) ordered to start Rice Planting Festival. 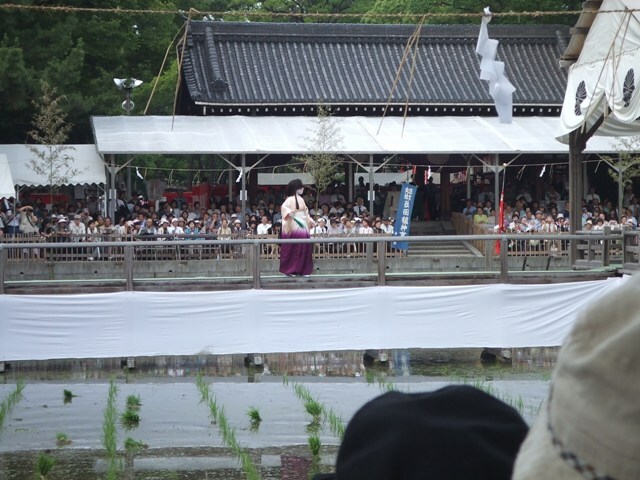 Here are some pictures I took at Sumiyoshi Shrine today. 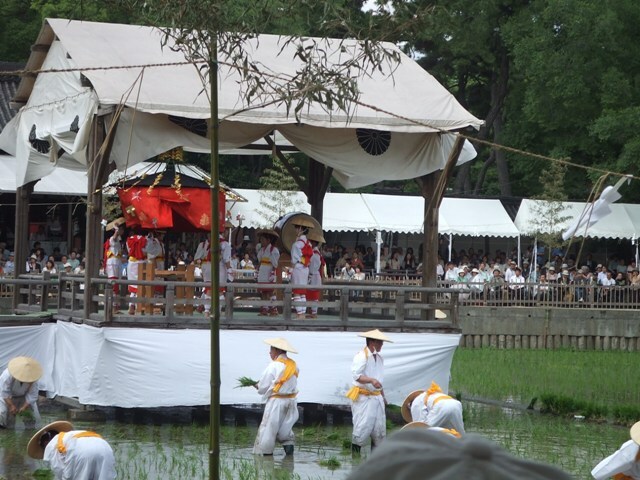 While rice is being planted, several different dances are dedicated. 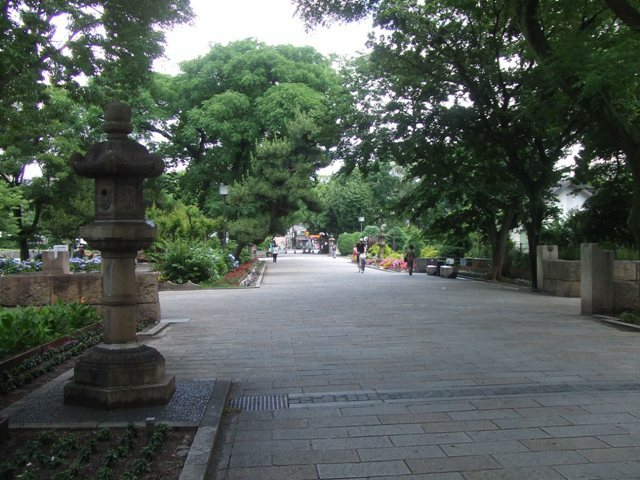 If you get out the east gate of Sumiyoshi Shrine, there is Sumiyoshi Road, the road that the people from eastern part of Kansai, used to walk to worship Sumiyoshi Shrine. If you walk a couple of minutes, there is a point where Sumiyoshi Road and Kumano Road are crossing. 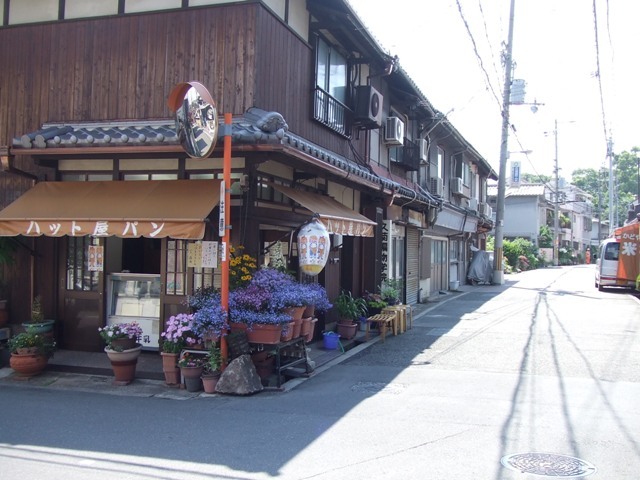 There is a bread shop on the corner, and you can eat ice cream cone during the summer time. 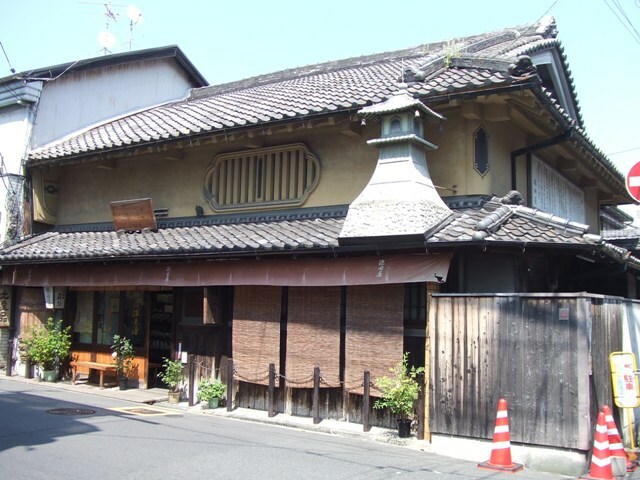 Across from it ,there is an old miso shop called Ikedaya. People say the building was built more than 400 years ago. 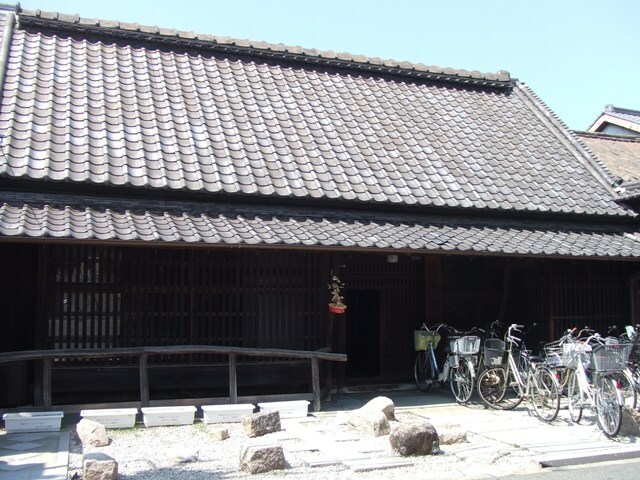 If you walk a minute more along Sumiyoshi Road, there is Sumiyoshi Fukushi Kaikan, one of the historical building, and now it is a community center. 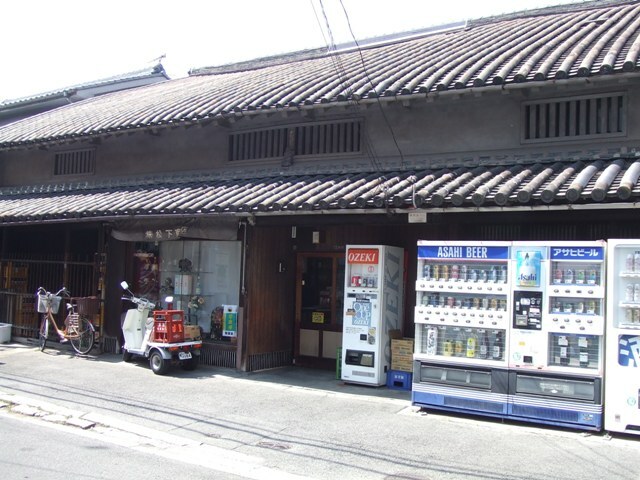 Next to the community center, there is an old liquor store, another historical building. What are those vending machines for? 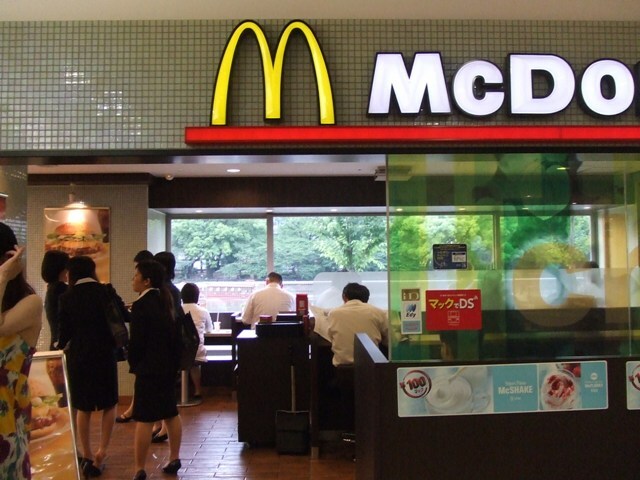 Yes, in Japan, you can buy beer and sake by vending machines. 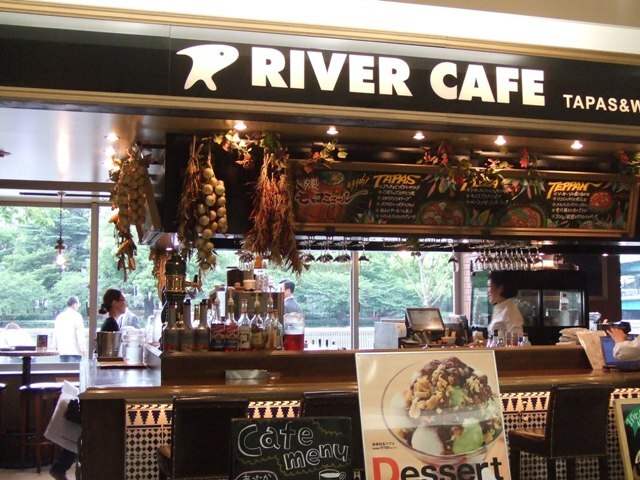 I went to have lunch at Rihga Royal Hotel Osaka with a good friend of mine from Kansai Gaidai University. 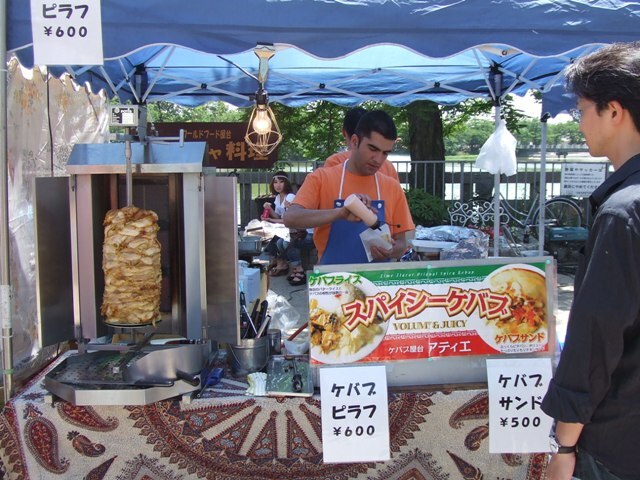 There was “Tottori Fair” at the hotel. Tottori is one of 47 prefectures in Japan and has good agricultural industry, and we were able to eat fresh stuff from Tottori. Gee! I was so much into eating and talking that I forgot to take pictures! This is from their brochure. 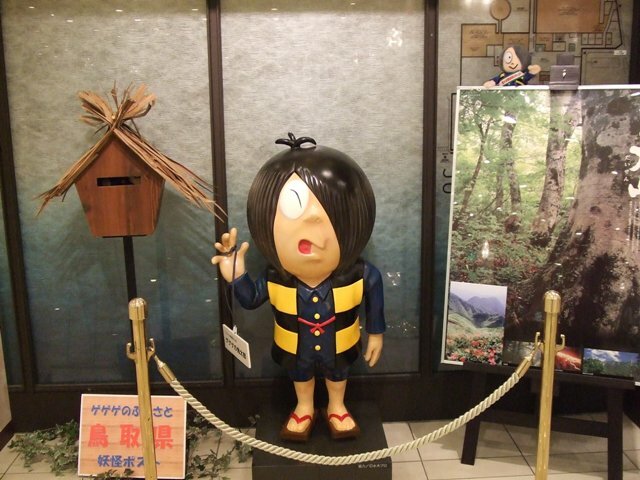 By the way, do you know “GeGeGe no Kitaro”? This is GeGeGe no Kitaro at Rihga Royal Hotel Osaka. Kitaro is a main character of a famous cartoonist, Shigeru Mizuki’s cartoon and animation, “GeGeGe no Kitaro” and he is a hobgoblin.. I don’t know what GeGeGe means, but it is a story about lots of hobgoblins. 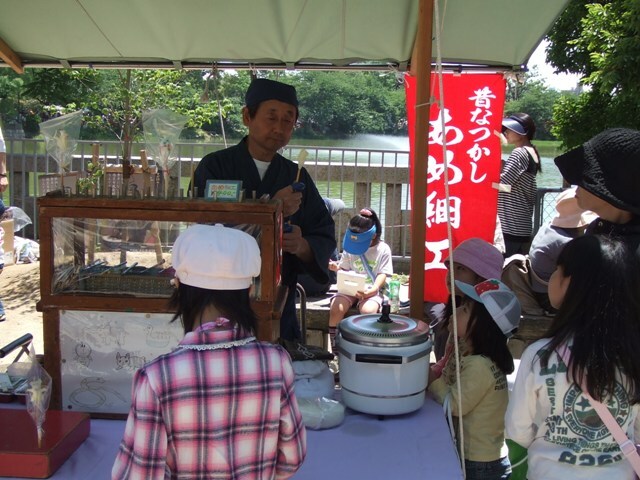 The cartoonist, Shigeru Mizuki is from Tottori, and his popular Kitaro works for promotion of Tottori. 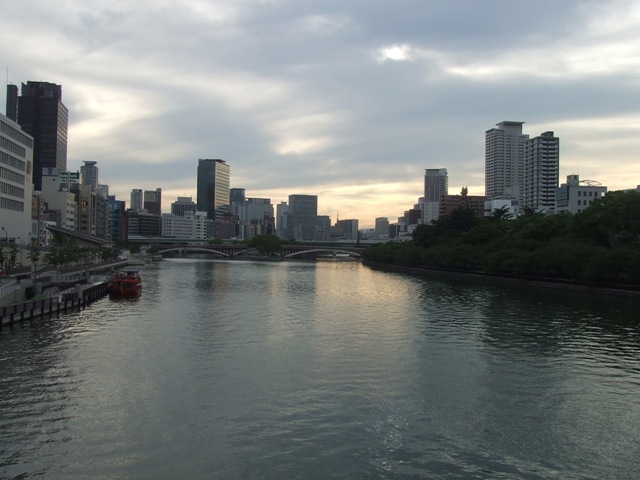 The City of Osaka is very dense and many houses don’t have big yards or gardens. 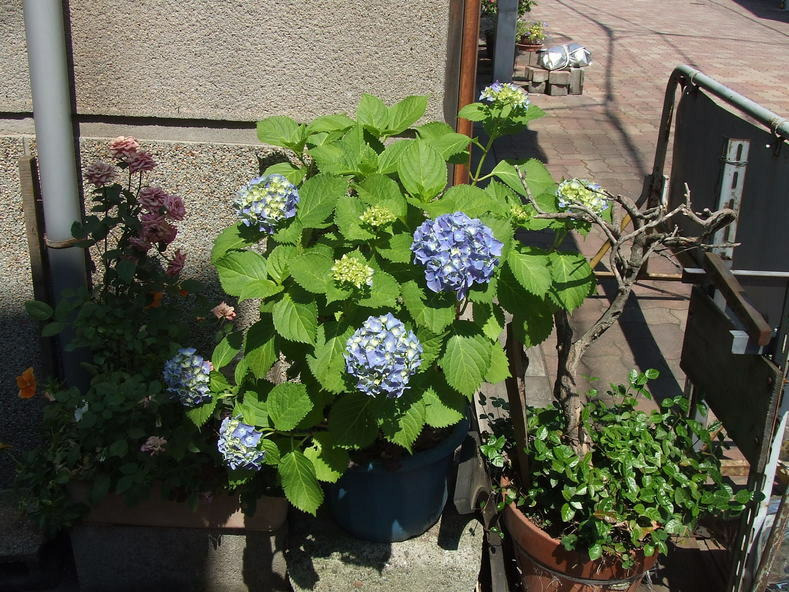 Even in the small space, many people like to have plants and flowers in front of their houses. 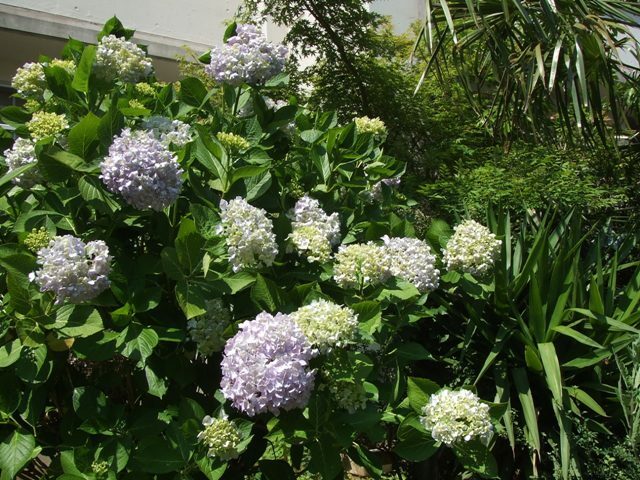 Now hydrangeas, in Japanese, “Ajisai” have started to bloom at many houses’ “petit jardin”. 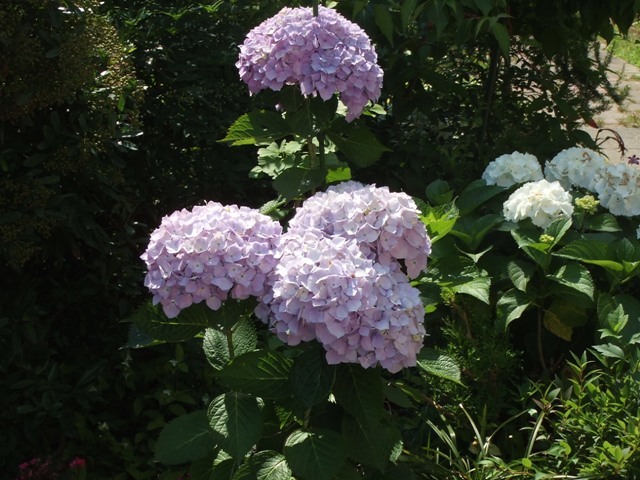 Unlike cherry blossoms, the flowers of hydrangeas stay long. 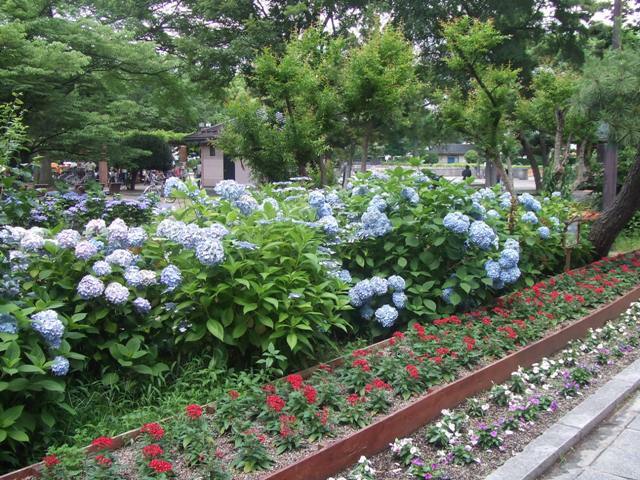 When hydrangeas start to bloom, the rainy season is going to start. From the middle of June to the middle of June, we have rainy season. 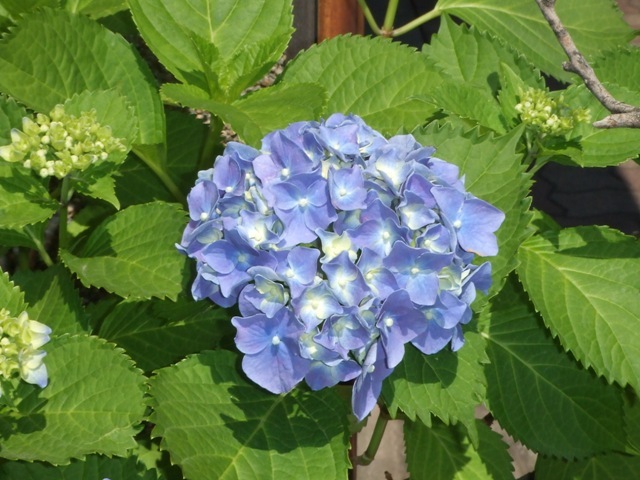 When the soil is acid, the color of the flower become blue. 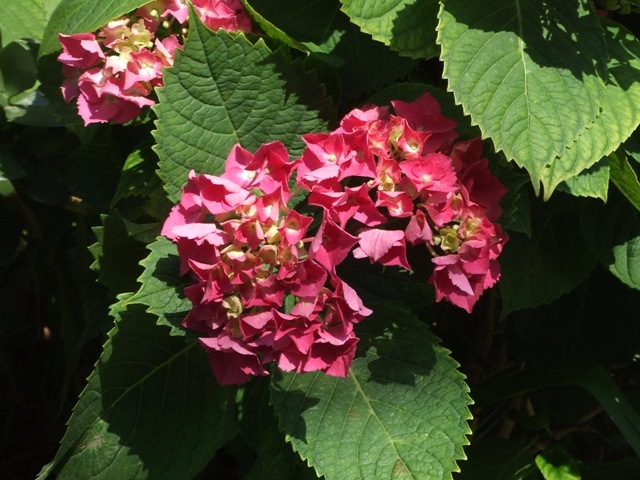 When it’s alkaline, the flowers become pink. 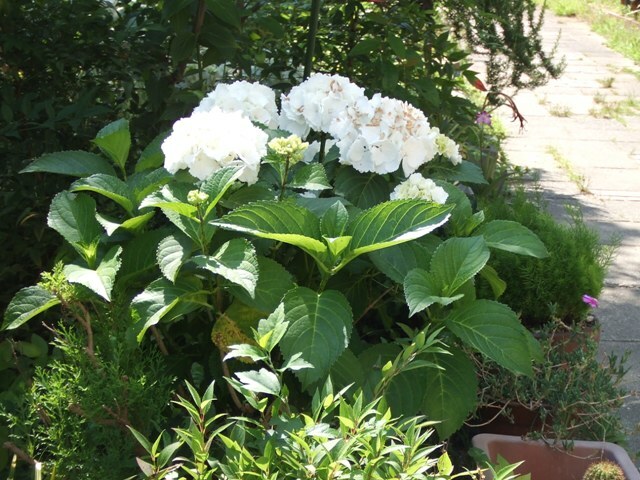 Maybe the soil is neutral, because the flowers are white. Pale pink and pale blue are mixed, but how??? Not only music, you can also enjoy various kinds of booths. 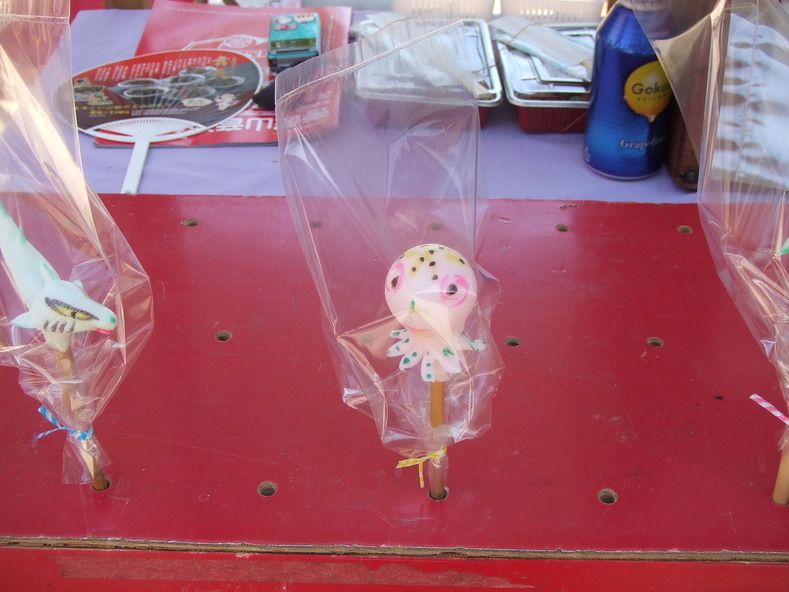 For example, if you want to eat something, you can choose from one of them, or from a lot more. Yeah!!! 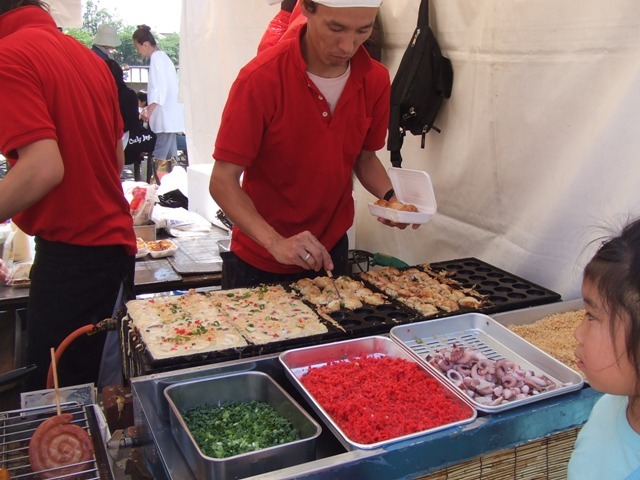 Osaka’s specialty, and every Osakan’s favorite, TAKOYAKI!!! 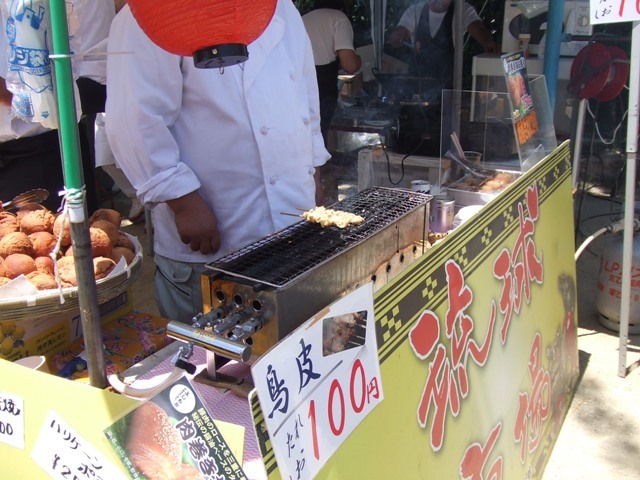 “Tako” means octopus, and “yaki” means grill or fry. He is a craftsman of art candy. 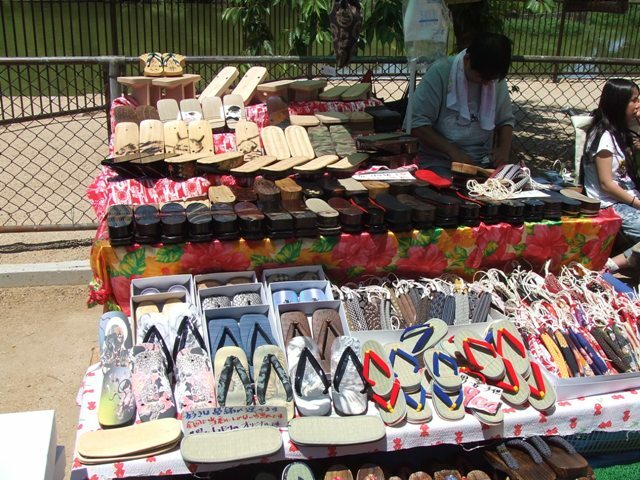 Here’s a booth of traditional Japanese shoes.